This feature appears to be available to everyone (or almost everyone), but it's subtle enough you might have it and not even realize. The screenshot feature is available in the stripped down screen search feature that's part of Assistant (maybe you didn't even know that was a thing). 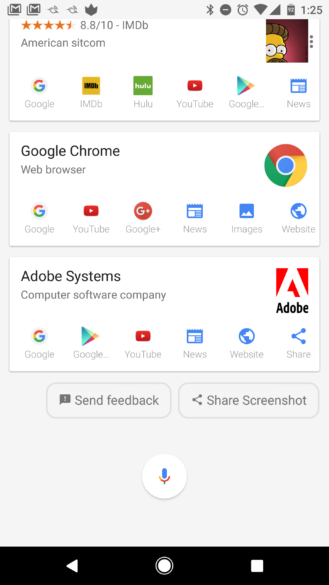 When you open Assistant on any screen other than the home screen, you can scroll down to get cards about screen contents. 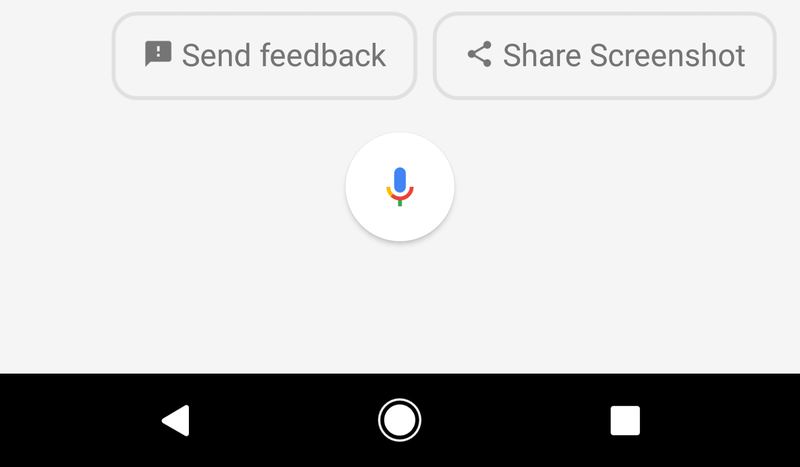 The screen search part of Assistant is not as in-depth as On Tap was, but at the bottom is a new "Share Screenshot" button. Pressing the share button captures a screenshot and immediately opens the system sharing dialog. Just like the version in On Tap, the status bar icons and nav buttons are hidden in these screenshots. It's a nice thing to have, but I'd be much more excited to get the text copying features of On Tap in Assistant.